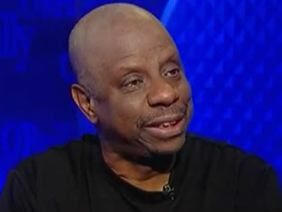 Jimmie Walker Slams Obama: Not "A Good Guy For The Job We Have To Do"
"Good Times" star Jimmie Walker talks to Bill O'Reilly about his disappointment with President Obama. "Barack Obama is more like a Tony Roberts type of guy," Jimmie Walker said in an interview with Bill O'Reilly that aired on the "O'Reilly Factor" tonight. "You feel real good and happy and everything and then you go home and there's a foreclosure sign on your door. And you just go, 'Wait a minute. I just had this great meeting with this guy. He made me feel real good.' And I don't think he's a bad guy. I don't think he's a good guy for the job we have to do." "You just can't blindly vote for somebody just because they're your -- sometimes even a brother, you have to let him go and he's not doing the gig," Walker said when asked how he explains his opposition to Obama as a black man. "I never voted for him," Walker revealed. "I say, let's look at the job he's done and I go back to the old Reagan slogan: Are you doing better now than you were four years ago," he said. "I just think that he's not the guy," Walker concluded.